With the Texas-based Hudson Manufacturing company in the midst of bankruptcy, one of their suppliers now says they could have a solution for H9 fans. Hudson burst on the scene in early 2017 with their interesting striker-fired H9 9mm pistol after years in development. Doubling down with the more affordable H9A in 2018, by 2019 the company had gone largely radio silent and this month filed for voluntary Chapter 7 bankruptcy. Enter Phoenix-based KE Arms, a manufacturer specializing in products for the firearms industry. On Tuesday, KE, who is on an 18-page listing of creditors in Hudson’s bankruptcy filings, announced they could be a successor of sorts to the H9’s legacy. 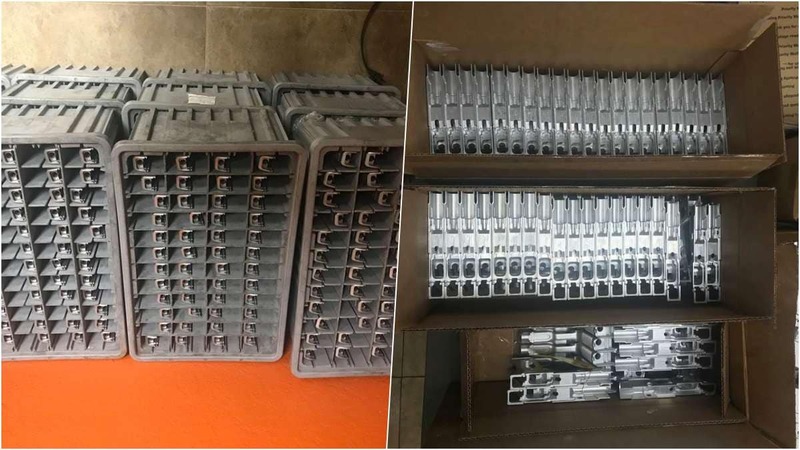 KE Arms posted images of assorted unfinished H9 slides and frames this week but it is not clear how many of the parts they have on hand. KE Arms said they have not communicated with Hudson “in months,” but at the peak of their relationship with the gun maker they were providing the company with as many as 400 slides per month and helped develop and prototype the H9A frame. Going on to point out they only manufactured slides and frames for Hudson and not internal parts or barrels, they said they are in contact with a number of other former Hudson vendors who did. According to a Hudson owner’s group, some fewer than 9,000 H9’s were ever made.